Yanmar Co., Ltd. of Japan will continue to be the main sponsor of the Vietnam national football team until March 2018. 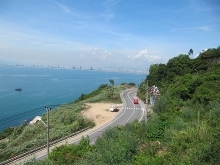 After six decades of competing in the Olympics, Việt Nam boasts its first ever gold medal thanks to shooter Hoàng Xuân Vinh who won the men’s 10m air pistol at the summer games in Rio de Janeiro. 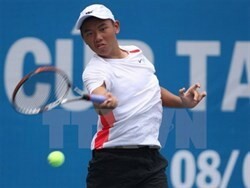 Vietnamese tennis star Ly Hoang Nam jumped three slots to 871st in the latest world rankings on August 1. The national team will not have Vũ Ngọc Thịnh at the coming ASEAN Football Federation (AFF) Cup, as the midfielder needs six months to recover from an injury. Goalkeeper Trần Bửu Ngọc has been banned for four matches and fined VNĐ15 million (US$670) according to the Việt Nam Football Federation’s Discipline Department yesterday. Việt Nam entered the second round of the Asian U-19 Women’s Volleyball Championship after beating Sri Lanka 3-0 in the preliminary round in Thailand on July 24. Việt Nam is to play Australia on Sunday in the final of the ASEAN U16 Football Championships after they defeated the host Cambodia 1-0 yesterday. 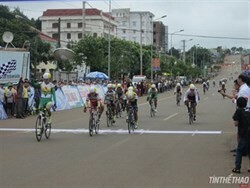 Nguyễn Thị Thật won the first stage of the National Women’s Open Cycling Tournament, An Giang Television Cup, yesterday. Việt Nam will compete in the Southeast Asian Junior Table Tennis Championships in Thailand on Saturday. 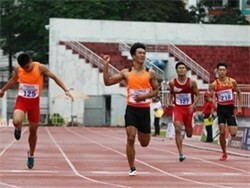 Hà Nội replaced HCM City to top the National Youth Athletics Championships, which closed in the city’s Thống Nhất Stadium on June 30.